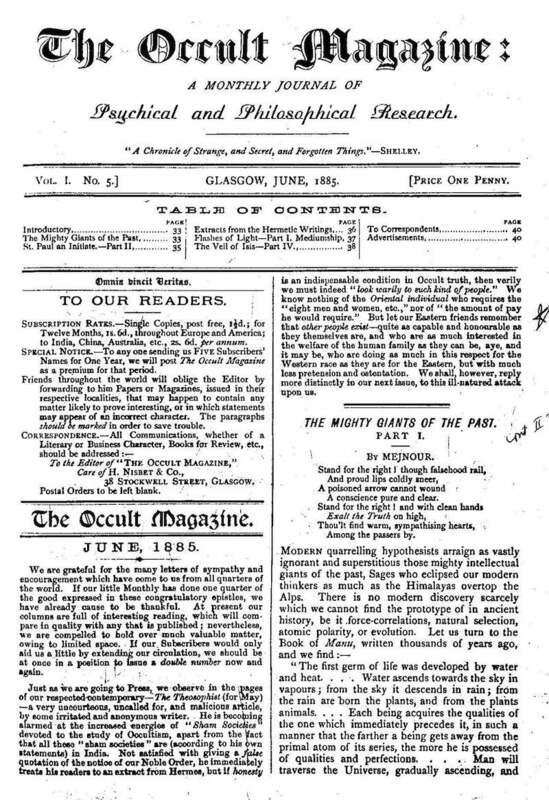 A Monthly Journal of Psychical and Philosophical Research. Glasgow, Scotland; then Loudsville, GA. Publisher: Hay Nisbet & Co.. Editor: Peter Davidson. 1/1, February 1885-2/21-23, October-December 1886.